By the late nineties, the Paringa wines were winning numerous awards, and getting excellent reviews from the media, so it was time for Lindsay to pursue another vision, to open a restaurant. He wanted food that would match the quality of his wines. 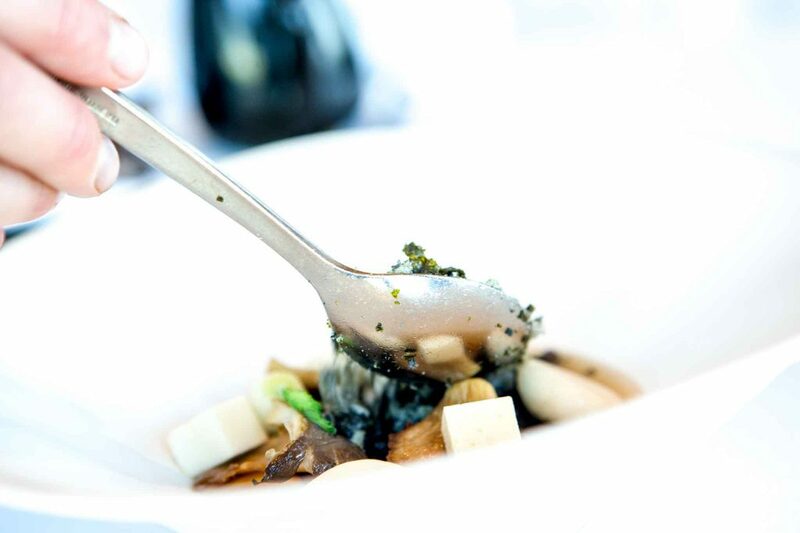 The Paringa Restaurant opened in 1999, overlooking the undulating slopes of the home vineyard. 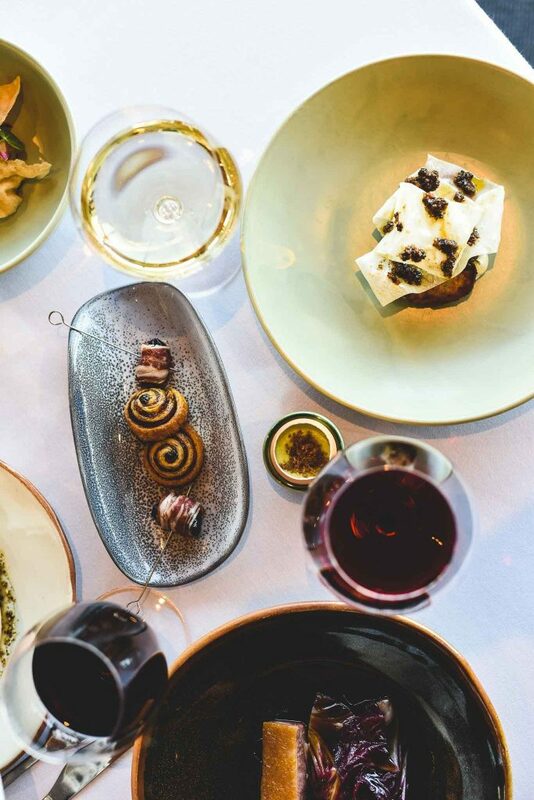 In 2013, Paringa Estate confirmed its position as one of the premier food and wine destinations in the region, when the restaurant was awarded a Chef’s Hat in The Age Good Food Guide. It has achieved this every year since. 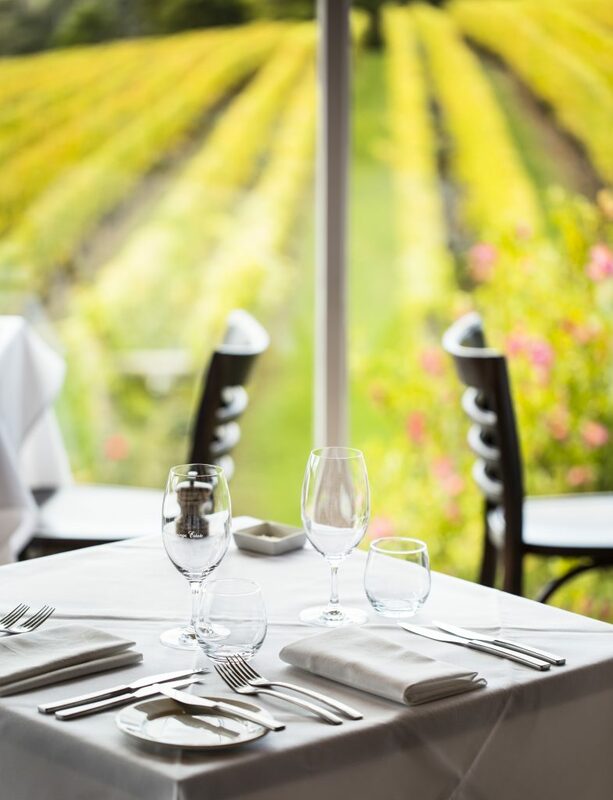 It was also awarded “Best Restaurant in a Winery in Australia at the Savour awards in 2014. Recent renovations have added a striking Courbusian façade, and a grand entrance. Large windows at the back look into the winery, and sleek new furnishings create an intimate mood. 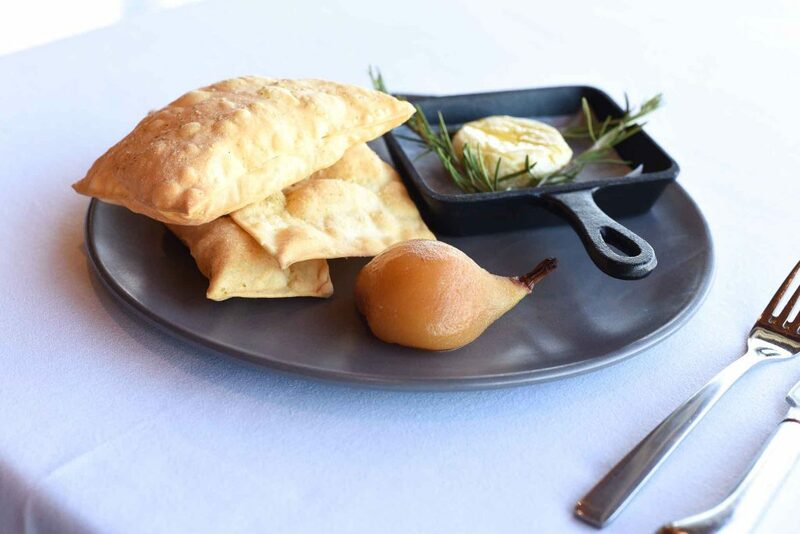 Our menu is a celebration of locally sourced, seasonal produce. 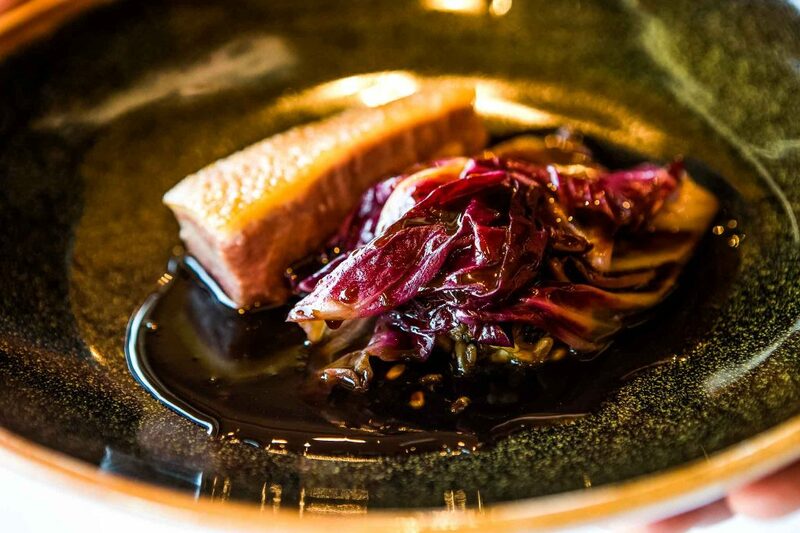 The beef is generally sourced from Gippsland, the pork from the Western Plains of Victoria and the seafood is local. We love foraging for ingredients in the region. 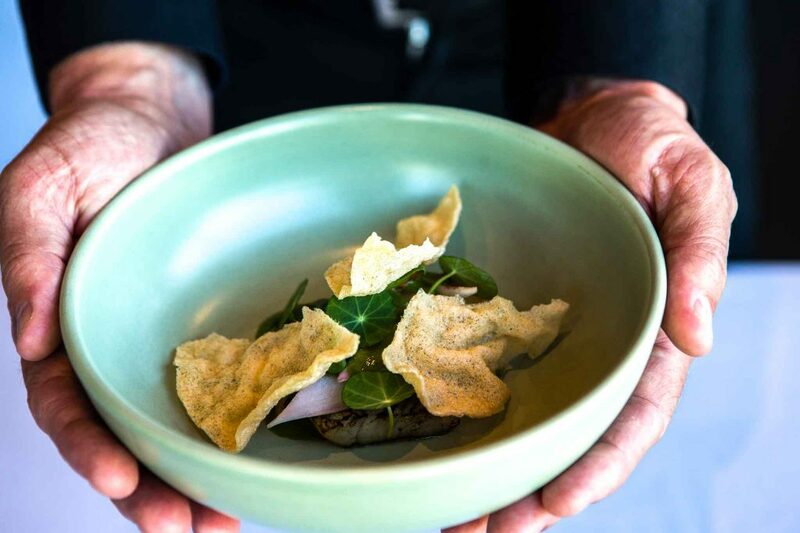 In autumn, wild mushrooms are on the menu; Saffron Milk Caps and Slippery Jacks, and throughout the year we add wild sea herbs, which we gather from the local shores such as Pig Face, Samphire, Sea Parsley and Sea Mustard. We can only accommodate bookings up to and including 8 people. For groups over this amount please contact the restaurant directly. 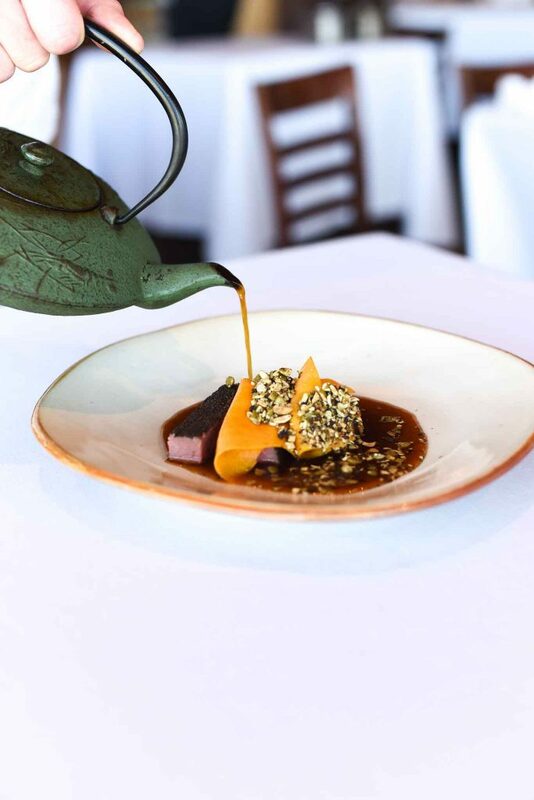 While here at Paringa Estate we endeavour to accommodate requests with special dietary requirements, we cannot guarantee completely allergy free meals. This is due to trace elements in the working environment and supplied ingredients. Please contact us for group bookings over 8 people. We suggest having pre-arranged transport as taxi service in the area is virtually non-existent. Even if pre-booked they have a history of being late or no showing. If you are not driving yourself, below is a list of local companies we believe are very reliable.